Abstract: Data interlinking, the problem of linking pairs of nodes in RDF graphs corresponding to the same resource, is an important task for linked open data. We introduced the notion of link keys as a way to identify such node pairs. Link keys generalise in several ways keys in relational algebra. Thus, we consider how they could be extracted from data with formal concept analysis. We show that an appropriate encoding makes the notion of candidate link keys correspond to formal concepts. However candidate link keys are not yet link keys as they need to be selected through appropriate measures. We discuss how the measurement and concept extraction processes may be interleaved. If time permits we will also discuss extensions of this model to residual link keys and mutually dependent link keys. This work has been developed in collaboration with Manuel Atencia, Jérôme David and Amedeo Napoli. Abstract : After one third of a century, Formal Concept Analysis still exists. Some of the younger researchers in the field were not even born when Rudolf Wille's seminal paper "Restucturing lattice theory: an approach based on hierarchies of concepts" was published in 1982. In our talk we shall discuss the present status of the field, its strengths and weaknesses, and sketch some possibilities for its future. We discuss several potential projects which we find promising, some in the theoretical foundations, some for applications, and others concerning the necessary philosophical foundations. Our view will be very subjective and hopefully controversial. We hope to induce a discussion which makes the research potential of the field apparent, and which can inspire new research activities. Short Bio: Bernhard Ganter is a member of Technische Hochschule Darmstadt, meanwhile as an emeritus professor. He took part from the very beginning in the development of Formal Concept Analysis and is co-author of two monographies on this field. can be seen as fragments of polymodal logic consisting of implications of the form A -> B, where A and B are formulas built-up from T (truth) and the variables using just conjunction and the diamond modalities. The interest towards such fragments independently emerged around 2010 in two different areas: in description logic and in the area of proof-theoretic applications of modal logic. From the point of view of description logic, strictly positive fragments correspond to the OWL 2 EL profile of the OWL web ontology language, for which various properties of ontologies can be decided in polynomial time. In the area of proof-theoretic applications, these fragments emerged under the name reflection calculi , as they proved to be a convenient tool to study the independent reflection principles in arithmetic and to calculate proof-theoretic ordinals of formal systems. Thus, in two different areas strictly positive languages and logics proved to combine both efficiency and simplicity, and sufficient expressive power. In this talk we discuss general problems around weak systems of this kind and describe some of their applications. Short Bio: Lev Dmitrievich Beklemishev graduated from Moscow State University in 1989, got Ph.D. from Steklov Mathematical Institute of Russian Academy of Sciences in 1992, a D.Sci. degree in 1998. He is the winner of the Moscow Mathematical Society prize in 1994, A. von Humboldt Fellowship (Germany) in 1998. 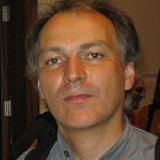 In 2000–2005 he was a faculty member of Utrecht University (the Netherlands). In 2006 L. Beklemishev was elected as a corresponding member of Russian Academy of Sciences. Currently, he is a Chief Scientific Researcher at Steklov Institute Moscow, a Professor of Moscow University, a Yandex Professor of the Higher School of Economics, Moscow. His research interests include mathematical logic, proof theory, provability logic, modal logic, fragments of arithmetic. Abstract: Approximate cluster structures are those of formal concepts and n-concepts with added numerical intensity weights. The talk presents theoretical resluts and computational methods for approximate clustering and n-clustering as extensions of the algebraic-geometrical properties of numerical matrices (SVD and the like) to the situations where one or most of elements of the solutions to be found are expressed by binary vectors. The theory embraces such methods as k-means, consensus clustering, network clustering, biclusters and triclusters and provides natural data analysis criteria, effective algorithms and interpretation tools.